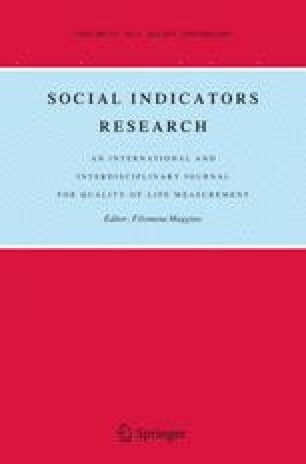 The relationships among types of social support and different facets of subjective well-being (i.e., life satisfaction, positive affect, and negative affect) were examined in a sample of 1,111 individuals between the ages of 18 and 95. Using structural equation modeling we found that life satisfaction was predicted by enacted and perceived support, positive affect was predicted by family embeddedness and provided support, and negative affect was predicted by perceived support. When personality variables were included in a subsequent model, the influence of the social support variables were generally reduced. Invariance analyses conducted across age groups indicated that there were no substantial differences in predictors of the different types of subjective well-being across age.